This is one of the basic designs I have made. It is used to hold a votive candle and I have a few different glass colors to choose from: purple, green and gray. This is has been sold. Work to begin on another one soon. I will update status as soon as it is available and post a new pic. Price will most likely be $85-95 depending upon the type of decorative motifs used. 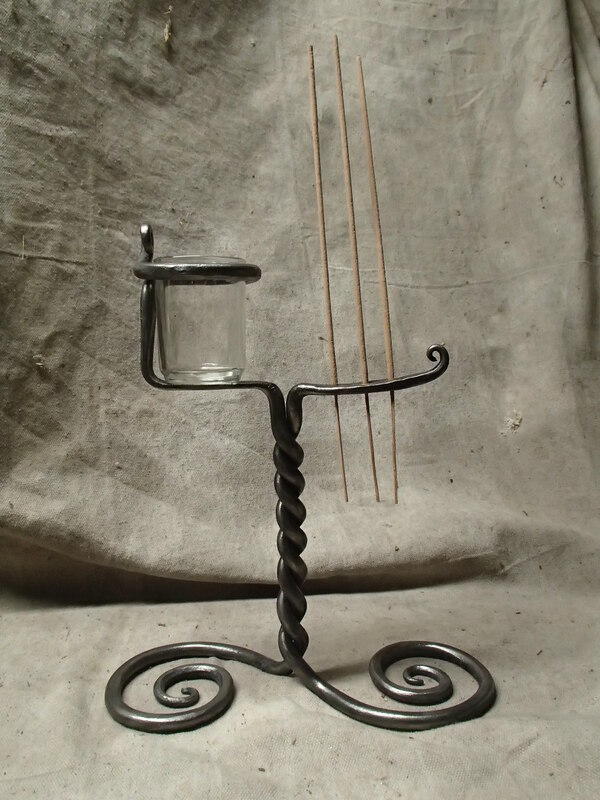 This one combines a candle holder and incense burner. I need to work on making more, but if you are interested please let me know. Price is $65. 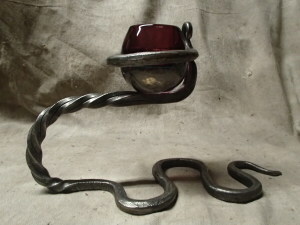 This entry was posted in Candle Holders. Bookmark the permalink.